You plan to visit Agadir in Morocco in february : check the weather and seasonal norms below. The weather in Agadir in the month of february comes from statistical datas on the last years. You can view the weather statistics for the whole month, but also by clicking on the tabs for the beginning, the middle and the end of the month. Agadir is beautiful throughout February. At the beginning of the month, the climatic conditions in Agadir resemble those of the month of January. Then with the rapid progression of heat towards the end of the month, it is possible to benefit from a climate throughout February in Agadir that is comfortable, characterized by an ideal warmth and a pleasant presence of the sun. The mornings are mild during the first days of February. However, the atmosphere is covered with a feeling of comfort because carrying a light sweater to feel a warm is enough. Then, the weather throughout February in Agadir allows for a comfortable warmth as well as a beneficent sunshine for the rest of the day. In mid-February, one feels the same climatic conditions as at the beginning of the month; the presence of the sun and the comfortable warmth from the middle of the day, while the mornings remain cool despite a slight rise in temperatures. The last days of February allow for the enjoyment of beautiful sunny days, with a mild warmth and comfortable, almost idyllic weather for the rest of the day. A sudden rise in temperatures has, in fact, favored a comfortable feeling of heat, especially by midday. the weather in Agadir in february is quite dry ; it hardly ever rains (61mm of precipitation over 4 days). The climate quite pleasant in that locality february. The thermometer averaged maximum of 23°C. The seasonal minimum is 16°C. Thus, the mean temperature average on this month of february in Agadir is 20°C. Note that these seasonal averages are in contrast with those observed in Agadir in the month of february with a maximum record of 30°C in 2017 and a minimum record of 10°C in 2009. You can hope to have about 25 days with temperatures above 18°C, or 86% of time. Day length in Agadir in february is 11:07. 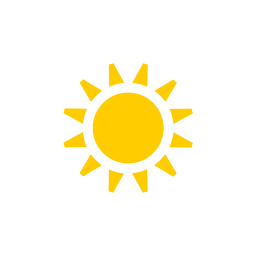 Sunrise is at 07:19 and sets at 18:26. With a good climate, the month of february is recommended to go in this locality in Morocco. Check below seasonal norms These datas are generated from the weather statements earlier years of february. Weather data for Agadir for february are derived from an average of the weather forecast since 2009 in Agadir. There is a margin of error and these forecasts are to be considered as general information only. The weather in Agadir can vary slightly from year to year, but this data should limit surprises. So you can pack your bags or check for the best time in year to go to Agadir. Best time to go to Agadir?